It's finally Easter Monday and I woke up with some funny ideas about my Billy The Bat designs. But first of all I'll show u a Easter drawing 'cause everybody did this so I do too! 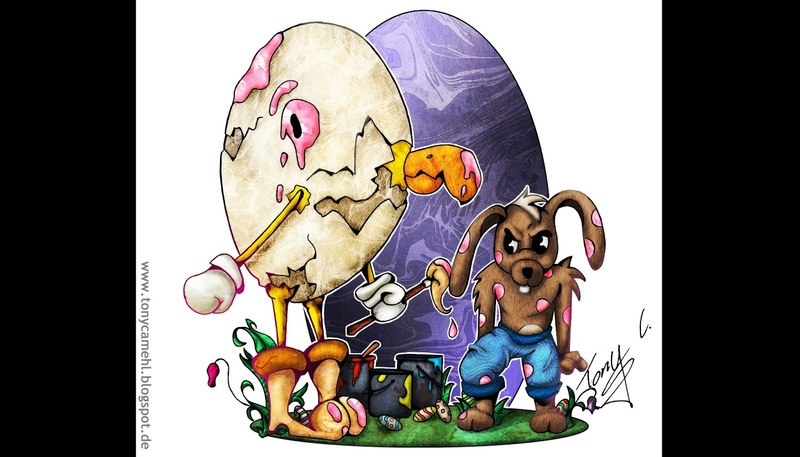 Looks like the Egg got the brush and draw some funny point onto the Easter Bunny - but I guess the Easter Bunny don't like that a lot! So wish u all a HAPPY EASTER MONDAY!